You have a car water leak: what now? If you live anywhere in Central Florida, chances are you’ve gotten rained on in the past 24 hours. We’ve received several inches of precipitation as a huge front moves through and it’s made the roads wet, car accidents happen all over the place, and car damage a big possibility. 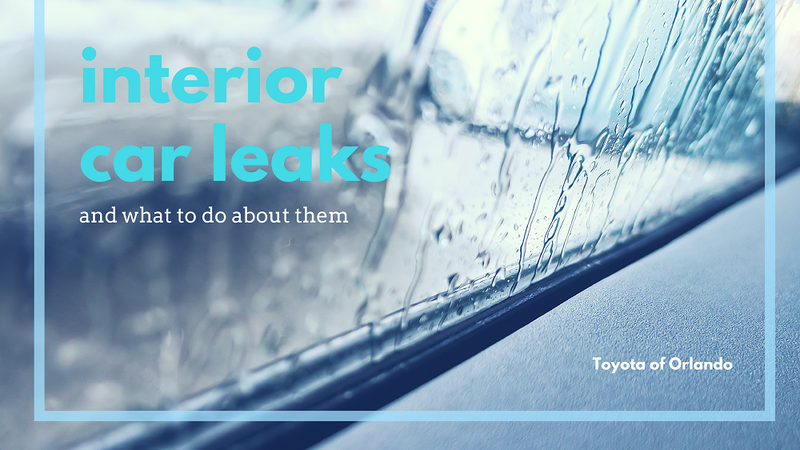 One of the big problems that incessant rain can lead to is a water leak inside your car – and a water leak can lead to huge issues if not addressed. Toyota of Orlando is here to walk you through this inconvenience! Why are car water leaks so important to address right away? First of all, let’s talk about car water leaks and why they’re such a big deal. When water gets inside of your car, it can ruin the upholstery, headliner, mats, vinyl, or leather. Not only that, you have to remember that your car is an enclosed space that’s subjected to heat every day. This makes it the perfect breeding ground for mold and mildew which are not only difficult to remove but also dangerous to be exposed to. Finally, long-term water exposure can cause metal inside of your car to rust (which translates to very expensive repairs). Unfortunately, it can be difficult to pinpoint where the water is coming from. The easiest way to do it is to bring your car to Toyota of Orlando’s auto service, obviously. However, if you prefer to be more hands-on with your auto care then your best bet is to take a simple approach. Starting from a low point and moving to a high point, pour water over the car. Watch carefully and you should be able to see where the water is getting through. If the water is on the floorboards of the car and you know it’s not dripping from above, it’s time to pull up the carpet and take a look. Use a flashlight to look for standing water, rust, or swelling that can indicate the origin of the leak. Regardless of where the water leak originated, it’s important to take care of it as soon as you possibly can to avoid further damage and expensive repairs. Your solution really depends on where the problem is. If it’s something as simple as a clogged sunroof drain, you may be able to take care of it at home. However, if it’s something mechanical or you have physical damage to your car’s body, it may be time to bring in the experts. Fixing those issues can be tricky and if you don’t do it right, can lead to further or worse leaks. Need affordable auto repairs for water leaks? 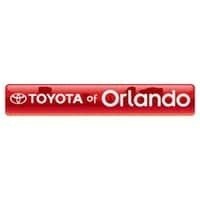 Call Toyota of Orlando’s auto service team today at (407) 298-0001! 0 comment(s) so far on You have a car water leak: what now?